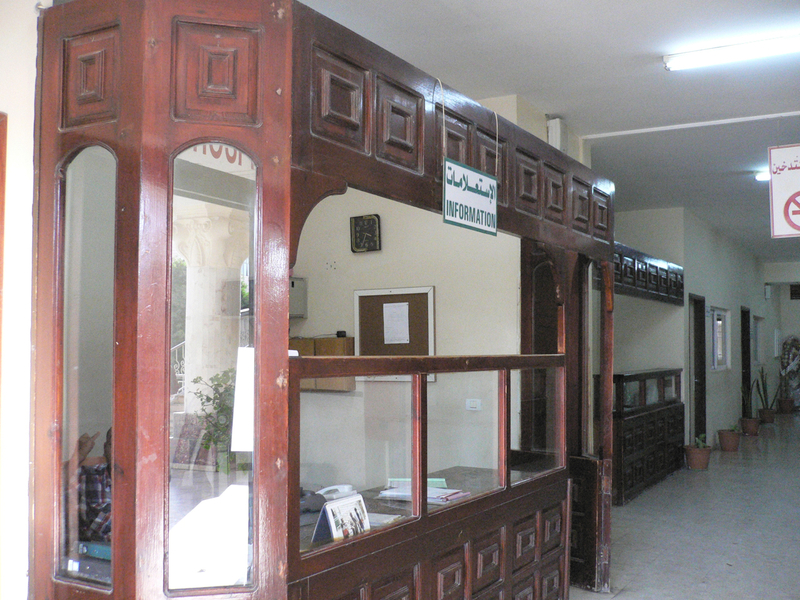 Antoine has left to meet with Mr. El-Najjar from the Gaza Music School for the last time. Ayah meets him there to help with interpreting. I later regret that I did not go along, but I wanted to catch up with some writing, so I stay behind with David and Stephanie, who are each buried with their heads in a laptop. 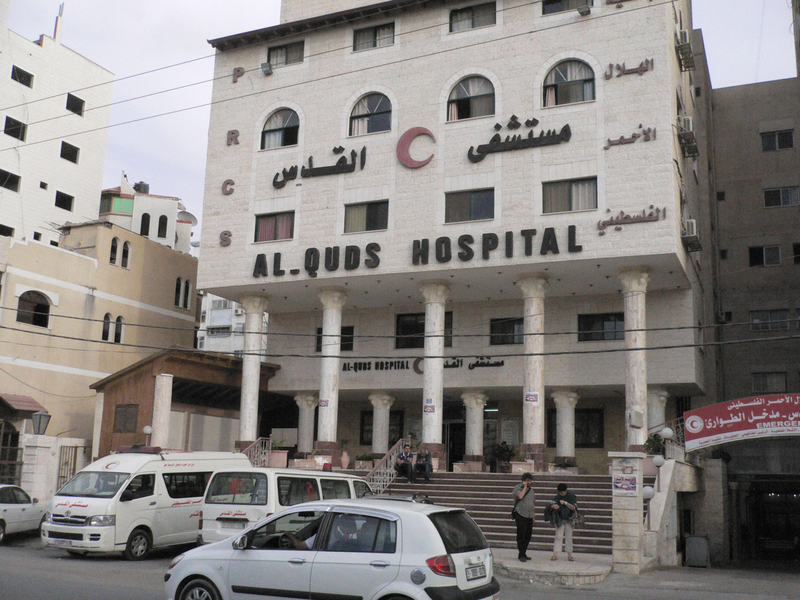 While we wait in the sun, I stand in front of Al Quds hospital and cannot help being impressed to be here, in front of the hospital that was bombed during the 2008-2009 attacks. I envisage it then, over filled to the brim with casualties, patients and people sheltering from the bombings, and then shelled with white phosphorous. 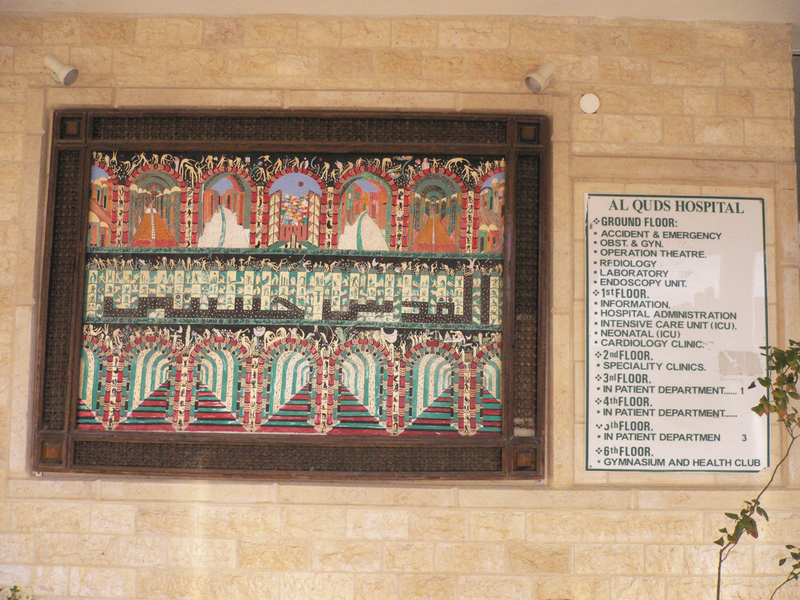 Al Quds was hit on January 15, 2009. You can read about it in this AlJazeera report, or here on ABC news, or in the Goldstone report, as well as numerous other sources when you google it. (Including some reports that attempt to excuse Israel’s attacks by alleging that the hospital was used for military purposes by Palestinian armed groups. This claim has not been substantiated, see the Goldstone report (p. 118, §467). According to the Goldstone finding mission “Israeli armed forces directly and intentionally attacked” the hospital (p. 19). The report also found that at the time of the attack between 600 and 700 hundred people were sheltering in this hospital. Many patients had to be evacuated and brought over to the Shifa hopital, which of course was also already overloaded with casualties. It must have been grueling. The Gaza massacre left close to 1400 killed, of which over half did not take part in the hostilities. Among them were 318 children and minors. More than 5000 people were injured (of which more than 350 seriously so), not to speak of the wide-spread damage to residential and industrial buildings, agriculture and infrastructure (electricity plants, sanitation facilities, etc. 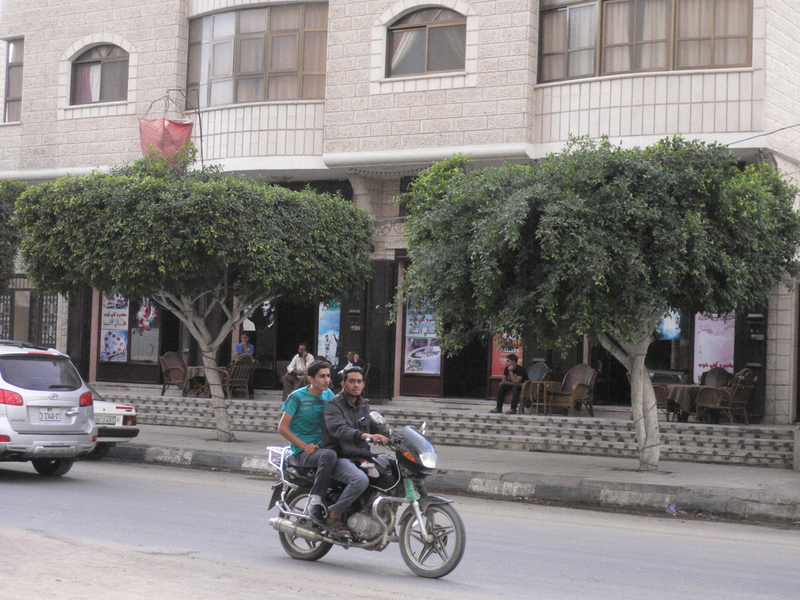 ), most of which has not been rebuilt due to the blockade disallowing construction materials to enter the Gaza strip. According to UN figures more than 3500 residential dwellings were destroyed and 20 000 people were left homeless. (See this Btselem page where I got the figures from. They can also be looked up in various UN documents.) At the same time 13 Israelis lost their lives, nine of which were soldiers within the Gaza strip (four of these killed by friendly fire), three of which were civilians and one member of the Israeli security forces. (Over 100 soldiers were wounded). These numbers of course speak for themselves, everybody can do the math. 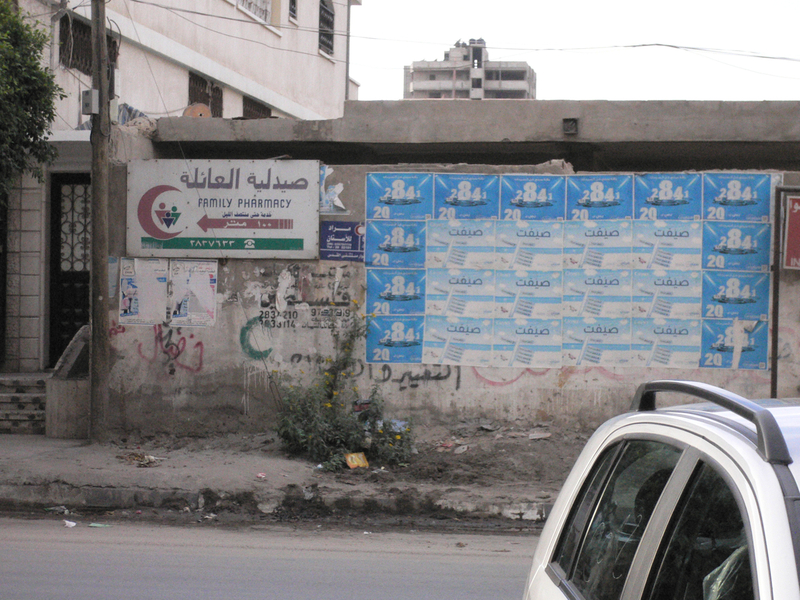 They throw into sharp relief the term “massacre”, which most people here use to describe what happened. Outside of Palestine it is more often referred to as the ‘Gaza war’, but as has been pointed out by many, the term ‘war’ implies a more balanced distribution of fighting power than what was the case here. 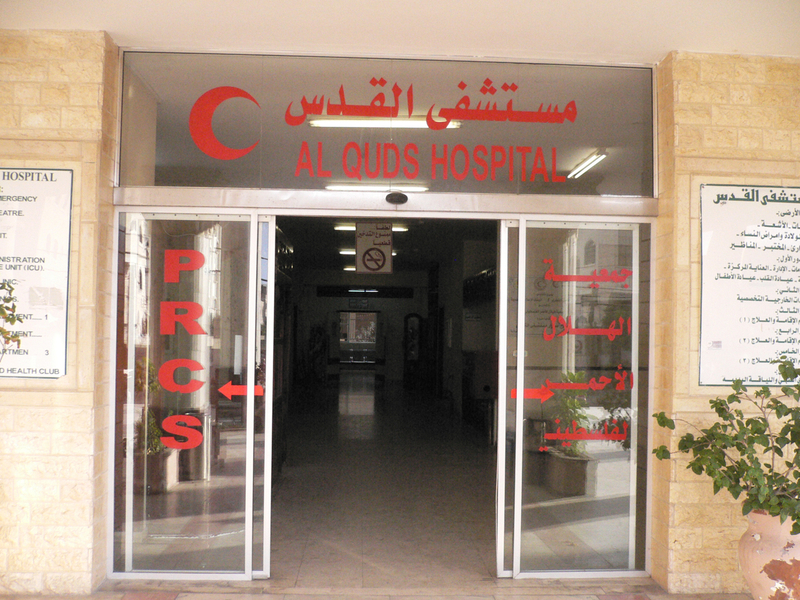 Back to the al Quds hospital: in late 2009 rebuilding and repairing of the Al Quds hospital started. Netanyahu had graciously agreed to permit construction material through the borders after this being requested by the French president (“as a humanitarian gesture”, how magnanimous). (See e.g. this Al Jazeera report.) It now looks like a normal, fairly modern hospital. For me it is memorable to stand here now. Here are some snapshots of this moment of waiting in front of it (including a nice one of David and Stephanie). 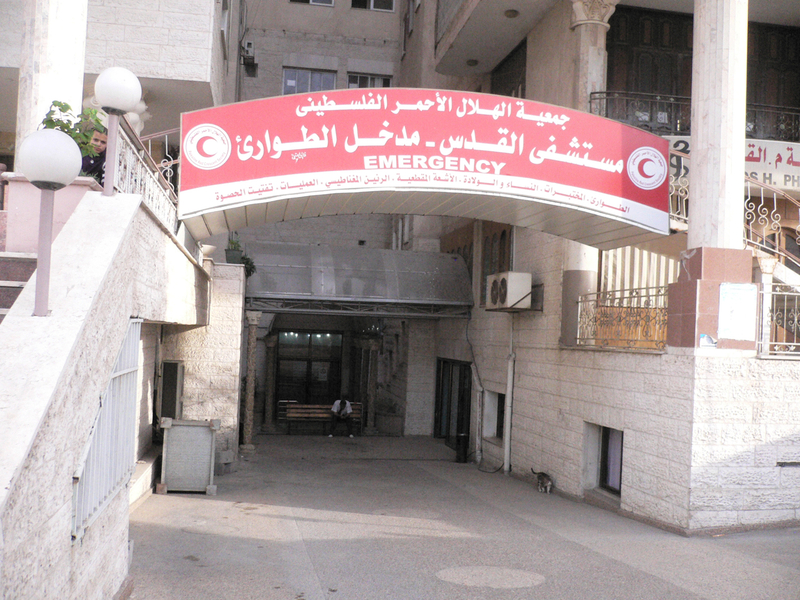 This entry was posted in Visiting Gaza and tagged Al Quds hospital, Gaza, Gaza massacre, international, political. You are forgetting Ayah who helped in my meeting w M. el najjar and helped translate umm ahmad’s stories. She was also instrumental in the organization of the concert. Also do you have a picture of the unfinished wing of the hospital that was being rebuilt?